Published: May 10, 2012 at 07:02 p.m. 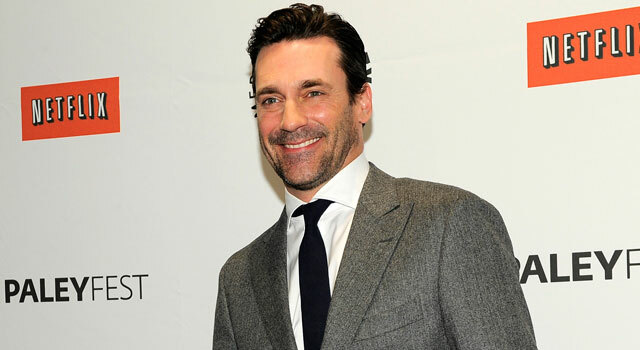 The moment I heard Jon Hamm was going to star in a feature film called "Million Dollar Arm," I started to wonder which Hollywood quarterback fallback would get the job -- Keanu Reeves or Dennis Quaid. But it turns out "Million Dollar Arm" is based on J.B. Bernstein, the real-life agent who started a reality TV show in India trying to find pitchers from local cricket players and spawned the careers of Rinku Singh and Dinesh Patel. And since you guys feel like I don't do anything of value anyway, I figured why not rank my top six million-dollar arms in the NFL? But first, let's round out the top 10 to get you going. 10. Michael Vick. Injuries hurt him last year, but I'm willing to give him the benefit of the doubt. 9. Cam Newton. I don't want to go too overboard after one favorable rookie season, but he clearly is a top-10 quarterback in the game. 8. Matthew Stafford. We finally got a chance to see what he was capable of when he stayed healthy. 7. Peyton Manning. I almost didn't include Peyton because we just don't know what we're going to get from him this season. But he belongs on this list. Being the one quarterback from the first round of the 2004 NFL Draft to not have a Super Bowl must be akin to being the other guys from 'N Sync who aren't Justin Timberlake. Although, I don't believe lobbying for Norv Turner is the way to end this. That said, Rivers had a tough 2011 but he should rebound this season. Even if it's unlikely the Super Bowl drought will end. Giants fans will love this. Yes, last year I said the Giants should look for a quarterback of the future. In my defense, this wasn't completely outlandish considering Eli didn't make "The Top 100" list last year and he was coming off a 25-interception season. Seriously, I wasn't the only who snickered when Eli said he was elite. But Eli did lead the Giants to another Super Bowl. And while it goes against Internet code, I will admit I was wrong about Eli and he is clearly a top-five quarterback. Sometimes I wonder if Roethlisberger milks it a little bit by playing up his injuries (just look at the 49ers game from last year), but you can't argue with his on-field success. Roehtlisberger has continued to put up great numbers playing behind a porous offensive line and he always gives the Steelers a chance to win. The most impressive thing about Brady (and I'll skip the obvious Gisele joke here) is he has been able to have as much success in his career without an elite receiver. Outside of Randy Moss, nobody was an elite receiver before or after they played with Brady (and no, I don't consider Chad Ochocinco an elite receiver). And even though the Giants have had his number in recent years, he still has three Super Bowl wins and five conference championships. Brees also has thrived in New Orleans without an elite receiver and his numbers since coming to the Big Easy have been staggering. Brees has topped 4,000 passing yards in all six of his seasons in New Orleans. And this year he broke Dan Marino's single-season passing record, after he came oh-so-close back in 2008. The only drawback here is the Saints are dragging their feet in making him a multi-million dollar arm. Rodgers' numbers are staggering since taking over for Brett Favre, especially last year when he broke Peyton Manning's seemingly unbreakable mark for passer rating (122.5). Seriously, the dude threw for 45 touchdowns and only six interceptions. Six! Rex Grossman could knock that out in one game (and nearly did against the Eagles last year). Send along your rankings via Twitter or via Facebook Also be sure to catch the latest on the Dave Dameshek Football Program. "NFL rivalries we'd like to see return..."